Wade caught what I would call the Spud local today, at Ephrata, back in the mid-1960s. 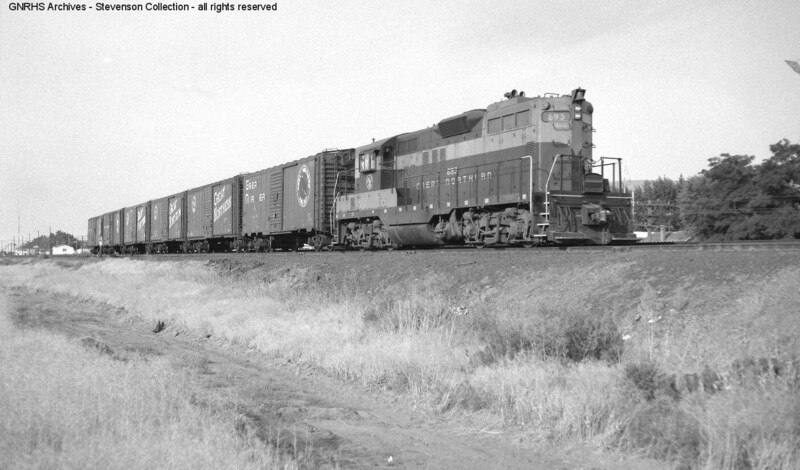 This was back when lineside industries dotted the right-of-way, and needed to ship railroad cars of product with varying amounts of frequency, unlike today where most places have no industries anymore. With the brown looking weeds, I can surmise that these cars are going to be loaded with wheat at the grain elevator, as the train is as the east siding switch and are likely going to start backing these cars into town. You can see the Ephrta depot in the background, behind the train, along with a section house for the maintenance crew. The concrete foundation is all that is left of the section house today.